This movie is about an international cover up of unbeliveable proportions. During the cold war an american airplane chrashes in Thule base, Greenland carrying 4 neuclear bombs. One pilot dies in the chrash and in the afterward clean up the workers get poluted with plotonium and get sick and die. However, as danish journalist, Poul Brinck, many years later starts asking the quistions now one wants to answer both the danish as well as the american goverment firmly denies any connection between the many deaths and the dangerous plotonium polution after the plane chrash. But this is not all. As its turns out, the danish and american goverment has kept yet a much bigger secret hidden - not only for the danish and the american population - but for the whole world. This is director Christina Rosendahls second serious movie. Peter Plaugbor delievers a remarkeble performance as the idealistic journalist, Poul Brinck. 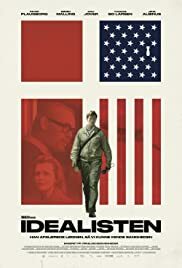 With "Idealisten" Christina Rosendahl enters the big stage of serious movie makers.